A lot of us use iTunes not necessarily because it is pleasant to use; it has for some time been the only way Apple users would transfer files from iPhone to Mac. 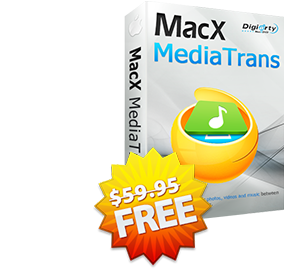 Luckily for Apple users, the MacX MediaTrans professional file transfer & manager tool has been designed to solve those problems. This is the only available tool that helps you transfer your files including photos, music, videos, and other files without having to use iTunes. It is a perfect backup if you are looking to free up iPhone space to update to iOS 11 without buying iCloud storage. 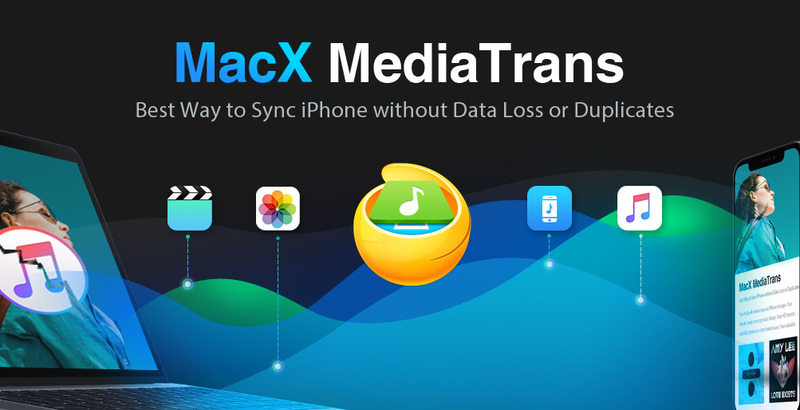 Not only will MacX MediaTrans transfer your files without any compromise on quality, but it is also the best substitute music manager for iOS. It would be quite frustrating when your iPhone crashes and you lose your important data. Luckily, if you have synced your iPhone with iTunes before, you can restore your iPhone data from the backup. But there is a catch, you can’t restore partial data or preview the content to be restored. Don’t get disappointed. Jihosoft iTunes Backup Extractor Free is a simple-to-use and completely free application which can help you extract and recover data from iTunes backups. Extract All Data from Backup: Jihosoft Free iTunes Backup Extractor can extract and recover a wide variety of data, including contacts, SMS messages, call logs, photos, videos, notes, WhatsApp, and more. Automatic Detection: Any iTunes backup file will be automatically detected and shown in the list for the user to pick from. Advance Preview: All scanned files are well-displayed by categories and enable insight preview before recovering. Selective Recovery: You can selectively extract what your want and export as a readable format for viewing. Simple-to-use: Intuitive and wizard-like interface guides you clearly through the recovery: Select Backup File > Specify File Types > Extract Data. Great news for all our readers! 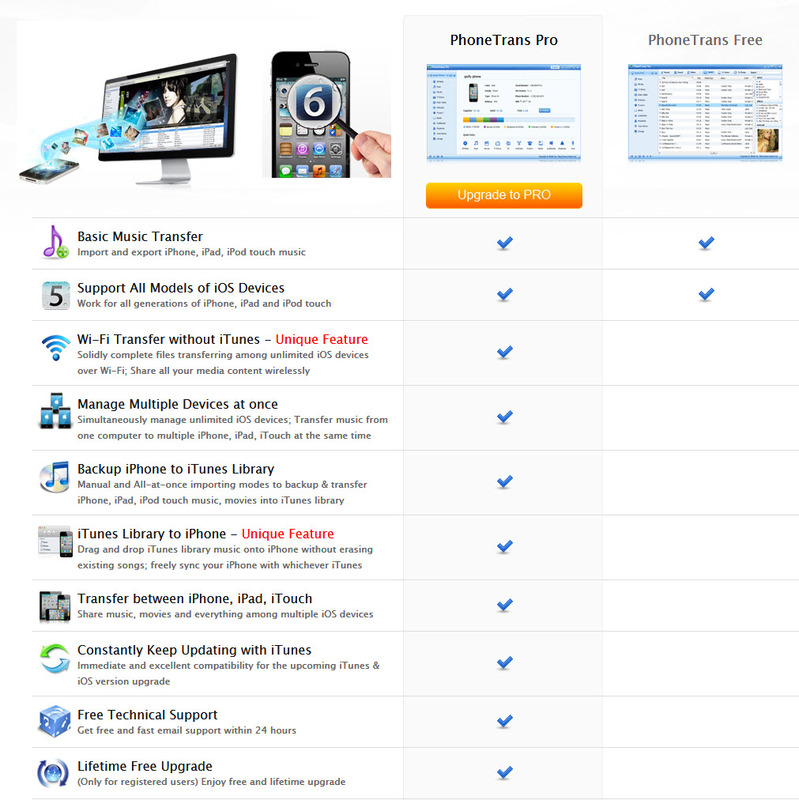 Leawo Software, the trusted multimedia solution provider, cooperates with GOTD to give away its best-selling iPhone/iPod/iPad transfer software – iTransfer on January, 27, 2014. The software normally costs at $29.95. But thanks to Leawo and GOTD starting such a wonderful giveaway, you could get the registration code of Leawo iTransfer for totally free. What should be mentioned is the iTransfer giveaway lasts only one day on GOTD. However, you could still get this great iPhone/iPod/iPad transfer tool for free on Leawo Spring Promotion from January 27 to February 12, 2014. Surprisingly this fall we got three brand new Apple gadgets, the iPhone 5, iPod touch 5 and 'Renanoed' iPod nano 7. Before buying one or more of them, have you thought about how many Apple devices are already in your family? If you and your families have a bunch of iPhones, iPads and iPods, probably you'll get big headache to manage them upon one single computer. The root cause of this inconvenience is iTunes, an application that takes on almost everything, e.g. iDevice media (and app) management, purchase, and playback jukebox, and much more. Apart from constant updates, slowness, source-consuming, complicated settings and limits, iTunes also leaves the media and app management part far away from desired. We have reviewed the best Apple iTunes alternative PhoneTrans earlier, well it got better and now features an brand new user-interface and supports synchronization of music, Apps, movies, music videos, TV shows, podcasts, ringtones and eBooks. One frequently met situation is that Adding a single HD movie to iPad may take about half an hour and risk losing all apps along the way. Besides, iTunes will also fill up hard drive with tens of gigabytes of iOS apps that can easily be downloaded from Apple. Syncing apps frequently may also destroy folders and make apps disappear. Another problem is Managing multiple devices on one computer with no way to move music, movies back to PC hard drive. We reviewed the free version of versatile Apple iOS device manager "PhoneTrans" few days ago, while feature rich the utility did lack some features when compared to paid "PRO" upgrade version like Wi-Fi Transfer without iTunes, simultaneous management support for multiple iOS devices, ability to share files among multiple iOS devices, iTunes Library to iPhone feature and much more. 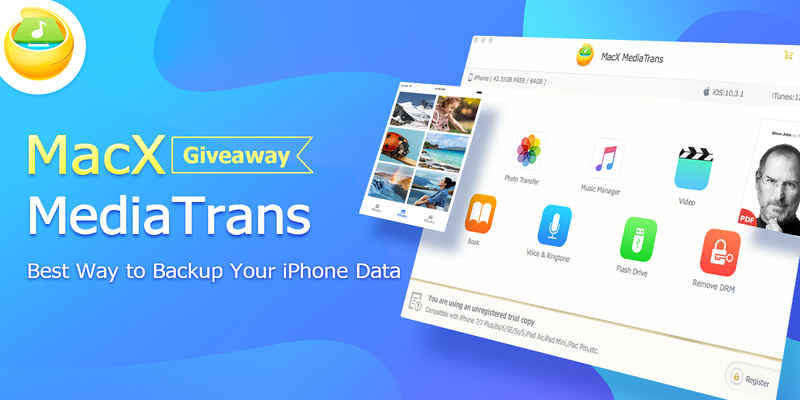 The good news is, under an EXCLUSIVE GIVEAWAY for megaleecher users, iMobie is providing genuine, free activation key for PhoneTrans Pro worth "$29.99" each to all our readers. 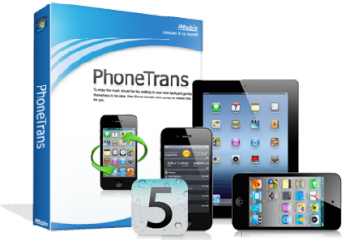 To grab your free-copy of of "PhoneTrans Pro" with all the amazing features mentioned below, simply visit the promo-link posted after the jump. While Apple iOS devices have the most simplest usability, the accompanied "PC Suite" management application Apple iTunes is equally frustrating to use. There are numerous free iTunes alternatives and today we are reviewing yet another application in this niche. The root cause of all this trouble is "iTunes Library" concept, which ties a user to a single account and computer - forcing them to sync audio, video and other items from a single computer. 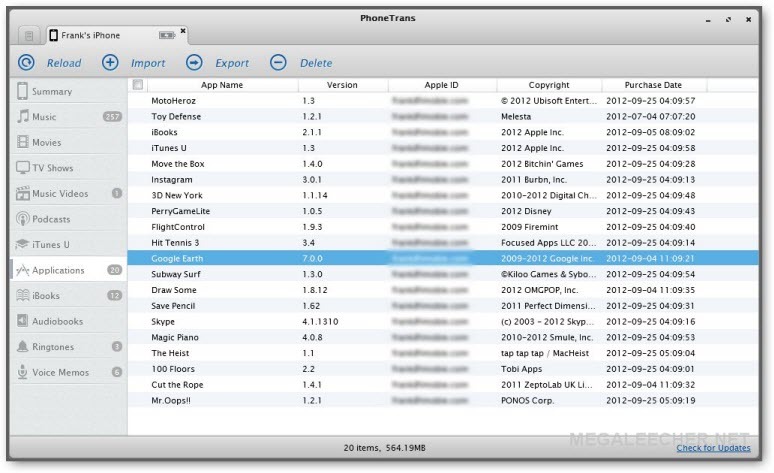 But there is way out, with free iTunes alternative application - "PhoneTrans" the user gets the power to just drag-and-drop files in & out of there iPhone, iPad and iPod touch just like windows explorer from ANY COMPUTER without worrying about deletion of earlier content as in iTunes Sync. 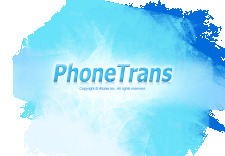 PhoneTrans fully supports adding, removing, backing-up and recovering of music, movies, music videos, TV shows, podcasts, voice memos, ringtones and eBooks etc. from Apple iPhone, iPad, iPod touch. While Apple's solution to manage iOS devices, "iTunes" is a great piece of utility. Many users simply hate to use it specially with the whole "Sync" methodology, this is the reason we have quite some free iTunes alternatives out there. If you are looking for something which offers both ease-of-use and raw power to control and command your iDevice, free Windows and MAC utility "iFunBox" is for you. Equipped with features like total control of iPhone/iPad file-system, single click .IPA file installs (AppFastIn) with app backup support, ability to make use of iPhone storage as a regular removable disk for general storage, Access App sandbox without Jailbreak, picture and wallpaper manipulation with previews and ability to export music and movies from iPhone/iPod. While the 91 iPhone PC Suite does have more features, this is very simple and portable to use, just like the Cyder desktop application for Cydia application. We have shared tips to manage Apple iPod and iPhone using free iTunes alternatives, as blogged earlier the iPhone PC Suite lets users manage Apple iPhone and iTouch without iTunes via a simple to use interface, the free software has now evolved into a suite of utilities for managing all aspects of your iPhone faster and easier. 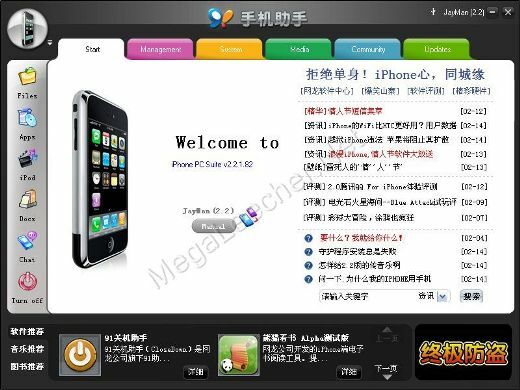 Once connected iPhone PC Suite will prompt and install a PhoneDeamon in your iPhone which will act as a bridge between the desktop application and the device.